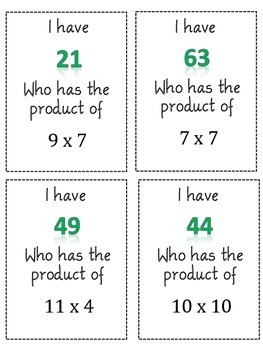 Great way to review multiplication facts. 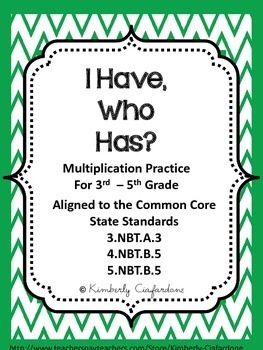 Multiplication practice is crucial in order for students to master their multiplication tables and be successful in math. 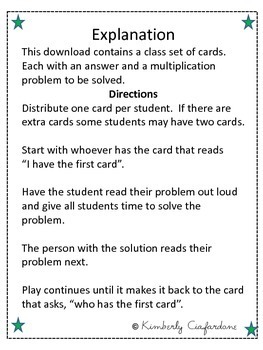 This set of I have...Who has games can be used as a whole class activity for students, or in small groups or as a center activity. 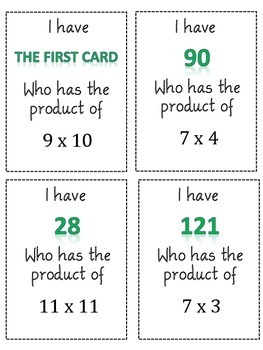 Any way you use it, it will help students practice and review their multiplication facts in a fun way!